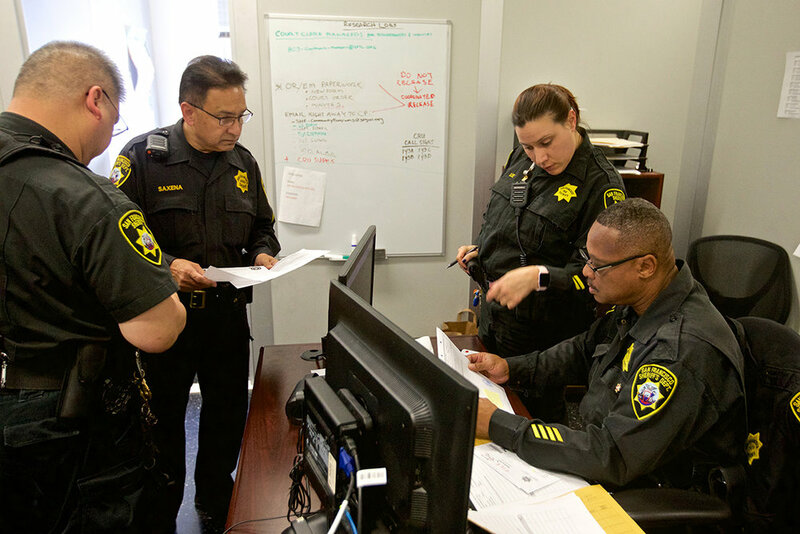 San Francisco lacks a fully interconnected criminal justice computer database that shares information in real time. Sheriff’s deputies must still review paper instructions from the court. Photo by Kevin Hume. Yes, We Install Security Cameras Too! 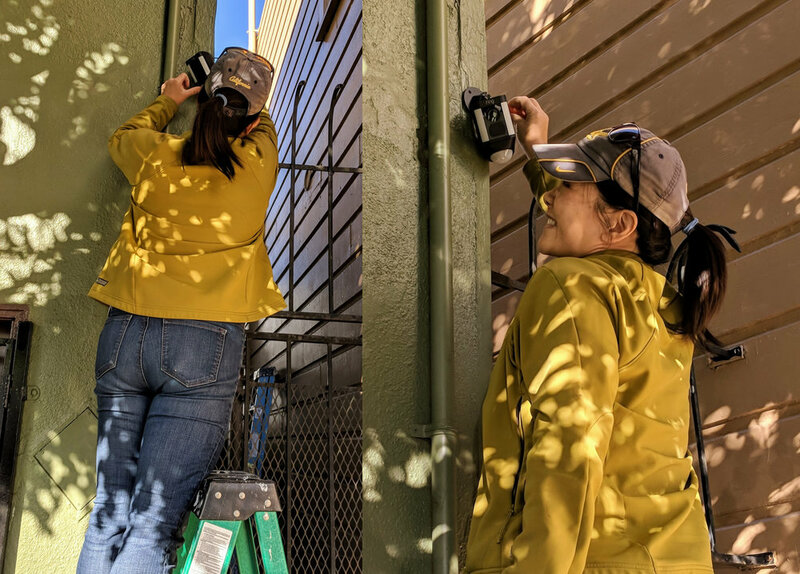 Stop Crime SF board member Nancy Tung installs a security camera on the home of a public school teacher concerned about criminal activity in her neighborhood. When a public school teacher who lives in the Bayview expressed concern about drug deals and illegal dumping outside her home, Stop Crime SF board member Nancy Tung offered to raise the funds for a security camera — and installed it herself. The availability of lower cost home camera systems is a great way to fight neighborhood crime. An open letter to the supervisors on City Hall's Budget and Finance Committee requesting support for Police Chief Bill Scott's 2018-19 budget. Open letter to Mayor Farrell — San Franciscans need you to address the daily nightmare we face with record-high property crime and car-break ins. As you determine the city's budget, please fund our police department for success. Community policing alone is not the solution. Please remember the need for centralized investigative capability when funding the SFPD.